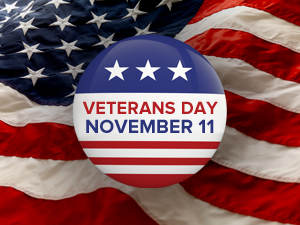 As a nation, we publicly honor our veterans who put their lives on the line for our freedom. Yet behind the scenes, we’ve left disabled veterans without benefits for months — sometimes years — because of mismanaged veterans records. Just last month, a VA Inspector General report found dozens of veterans were sent letters indicating a reduction or cancellation of benefits, even though they’d mailed forms that should have allowed them to continue receiving money. The culprit – A complaint had suggested about 1,000 pieces of unread mail from veterans were being stored indefinitely in a yellow bucket at a Seattle Department of Veterans Affairs office without a response from employees assigned to evaluate benefits claims. That same report found an office in Oakland, California, neglected to act on thousands of claims, and employees at different offices manipulated internal records to falsify reports on the processing of claims. Such mismanaged veterans records, falsification and manipulation of records, is unacceptable at any level, but especially when it comes to the livelihood of veterans and their families who have made extreme sacrifices to defend our country. What’s worse — the longer it takes for VA employees to respond, the greater the chance is that the disabled veteran will have passed away before receiving any benefits. Spouses will often be tasked with fronting costs for a funeral before receiving any response from the initial disability claim. Dorrie Stafford of California shared her story with CBS News earlier this year. She had received a letter dated July 29, 2014, acknowledging the disability claim her husband filed in July 2004. The decade-long wait was only half of her frustration; her husband had passed away seven years ago. She had no idea she could’ve received help with burial expenses or even a modest pension as a disabled veteran’s widow. Sadly, at the time the article was written in February, she was living with friends in a home in the mountains of northern California with no electricity. Veterans and their families deserve better — they should receive a timely response and the proper handling of oftentimes personal, sensitive information. If you or someone you know has received a disability claims denial in error or are still waiting for a response from your regional VA office, call on the KBG team for help. We’re here 24/7 to get the Results You Deserve®.